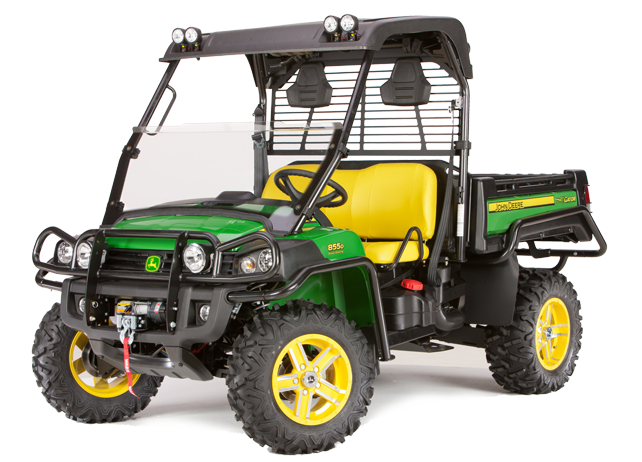 The updated Gator™ TE Utility Vehicle is designed to provide a quiet, powerful, and comfortable utility vehicle capable of accomplishing a full day of work.Powered by a standard 48V system the Gator™ TE accelerates faster, climbs hills better, and performs evenly until recharge. 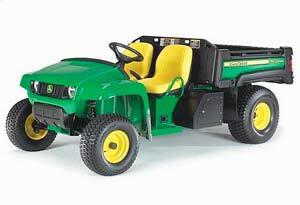 The Gator™ Traditional Utility Vehicles are designed to satisfy your specific needs. 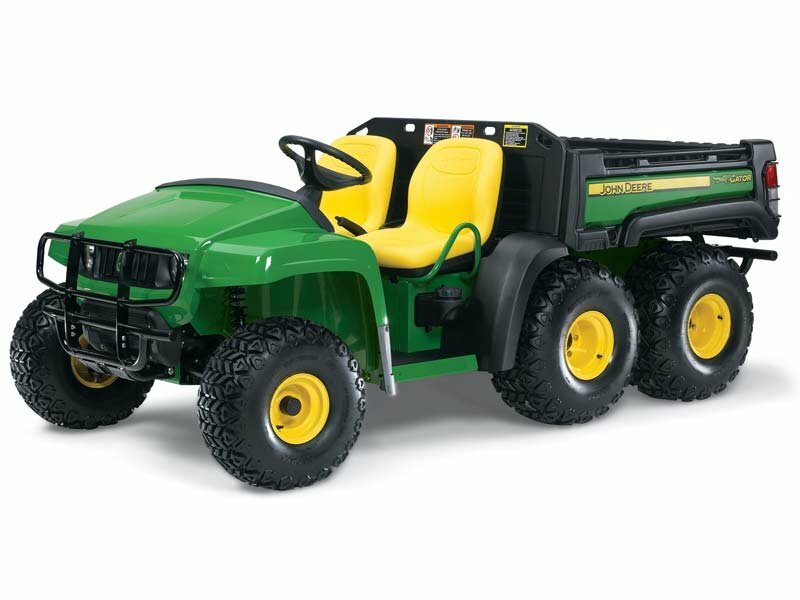 With their large box capacity and excellent towing capabilities the Gator is able to perform under any condition. A low centre of gravity helps hold the vehicle to the ground even in the worst conditions. 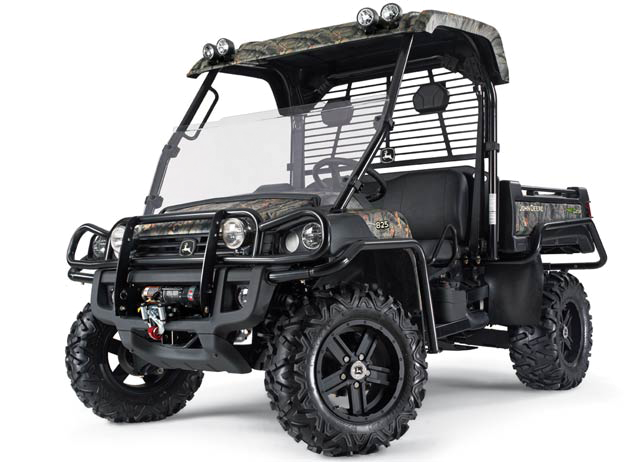 The TX Gator™ Traditional Utility Vehicles are designed for those who don't need high speed, high ground clearance or 4 wheel drive(4WD), but to those who need to haul large and heavy loads, and prefer low speeds. 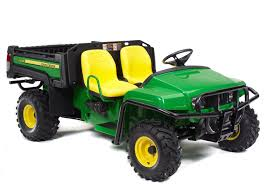 Available in two models with Turf or All Terrain tyres. Standard & Power steering models available. 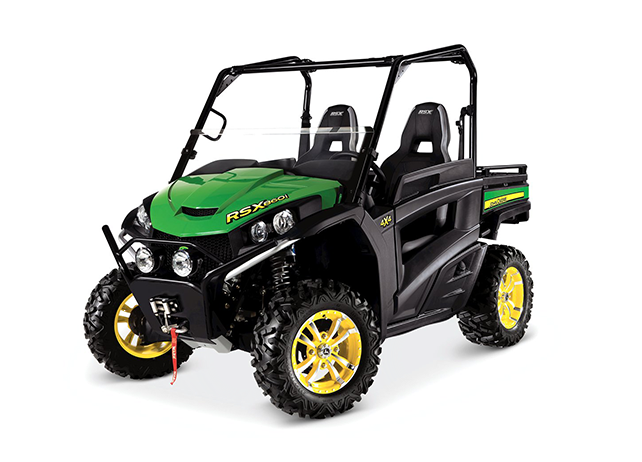 The Gator RSX series Recreational Utility Vehicles are designed for customers who demand the most advanced off road recreational performance, all day riding comfort and the ability to challenge extreme terrain.With its high horsepower engine,unique independent four wheel suspension, bets in class safety and stability and high performance styling the Gator RSX is able to perform in any environment and turn heads doing it. 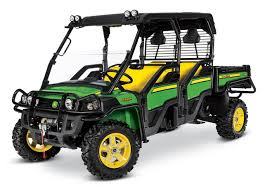 The Gator XUV560 Crossover Utility Vehicle is designed for customers who desire performance, comfort, customization and 4wd for a great value.With a powerful V-twin engine, independent four wheel suspension, and with the availability of numerous attachments, the Gator XUV560 provides an unparalleled balance of performance and work capability. 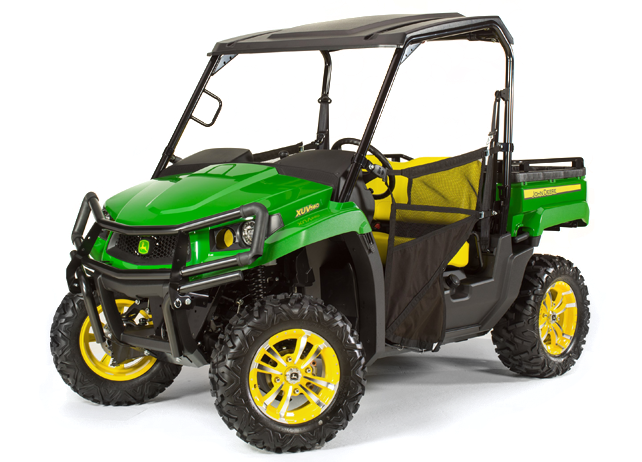 The Gator XUV560 S4 Crossover Utility Vehicle is designed for customers who desire performance, comfort, customization and 4wd for a great value.With a powerful V-twin engine, independent four wheel suspension, and with the availability of numerous attachments, the Gator XUV560 S4 provides an unparalleled balance of performance and work capability with the added advantage of 4 seats. 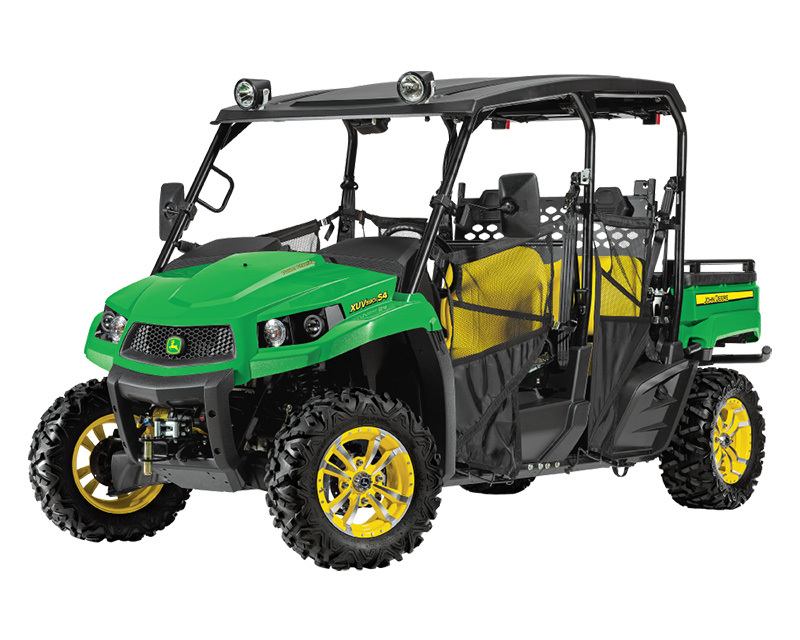 The Gator XUV590i Crossover Utility Vehicle is designed for operators that demand performance, comfort, customization and four wheel drive (4WD) in a mid size chassis. With its powerful twin cylinder engine and independent four wheel suspension. 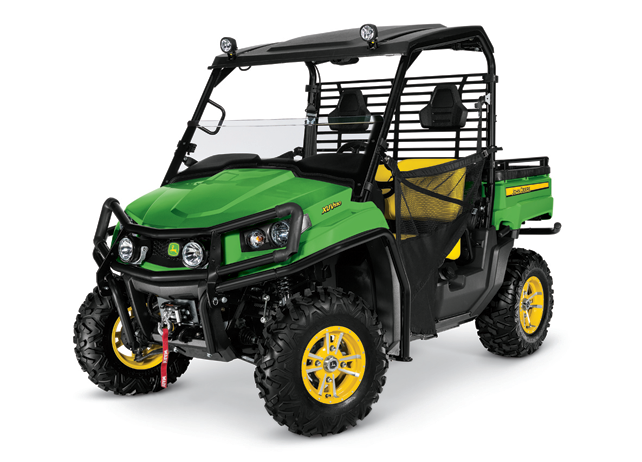 The Gator XUV590i Crossover Utility Vehicle is designed for operators that demand performance, comfort, customization and four wheel drive (4WD) in a mid size chassis. With its powerful twin cylinder engine, independent four wheel suspension and the added advantage of four seats. 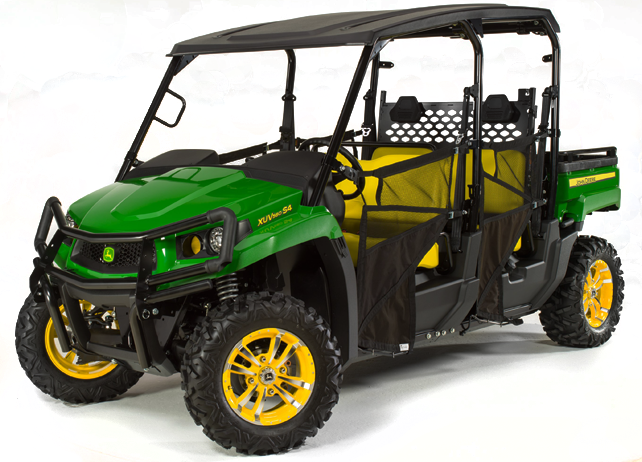 The Gator™ XUV Crossover Series Utility Vehicles are designed for customers who require a vehicle that can take on heavy duty jobs and deliver best in class quality and durability. Available in Green and Yellow, Olive and Black & Camo. 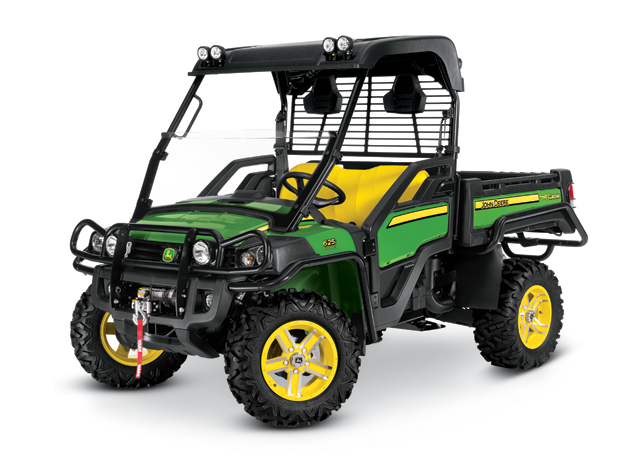 The Gator™ XUV Series are the fastest, most powerful Gator™ XUVs yet.The 37.2 kW (50-hp) 825i, with the most advanced engine in its class, with 3-cylinders and dual overhead cams. Available in Green and Yellow,Olive and Black & Camo. 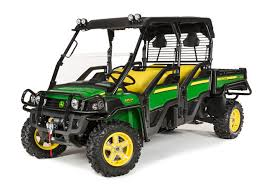 The Gator™ XUV Series are the fastest, most powerful Gator™ XUVs yet.The 37.2 kW (50-hp) 825i S4, with electronic fuel injection, independent four wheel suspension and on demand true 4WD system,the gator Crossover XUV is able to perform in any environment. The XUV 855D Gator Utility Vehicle is the most powerful,fastest accelerating and fastest top speed diesel in its class. The XUV 855D S4 Gator Utility Vehicle is the most powerful,fastest accelerating and fastest top speed diesel in its class.With its independent four wheel suspension and on demand true 4WD system,the Gator XUV855D S4 is able to perform in any environment.